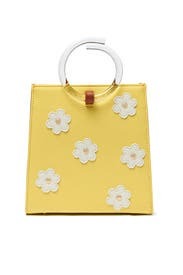 Daisies are blooming on this quirky yellow leather purse by Lizzie Fortunato, styled with swirling acrylic handles. 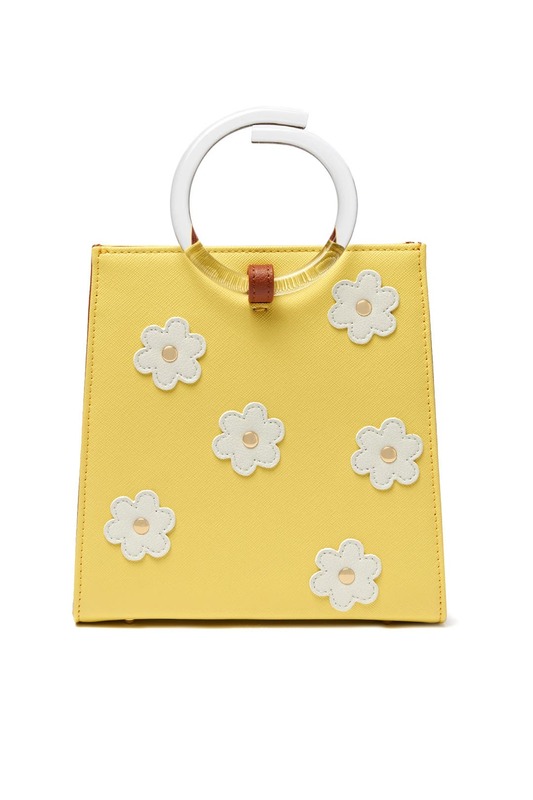 Yellow saffiano leather top handle bag with daisy detailing and acrylic round top handles. 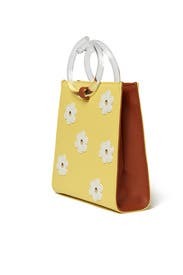 Open interior and hidden chain shoulder strap. 6"L x 7.5"H x 3"D.